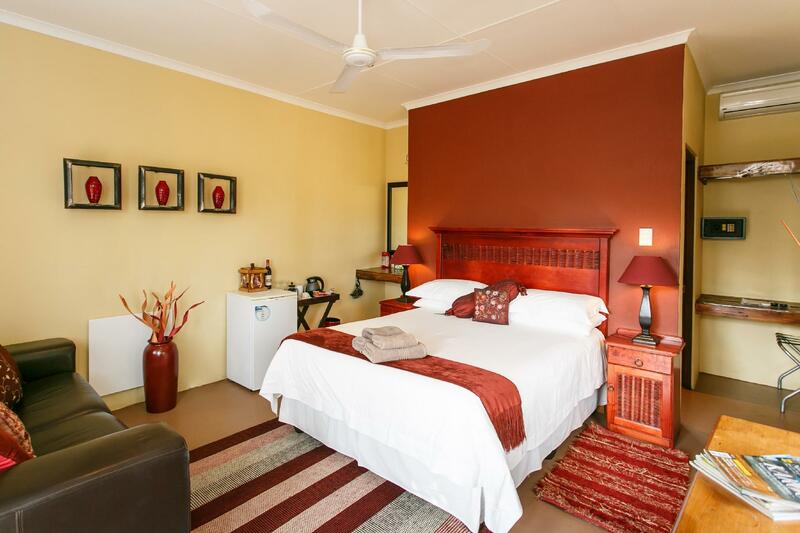 ﻿ Gumtree Guest House Oudtshoorn. JIMAT di Agoda.com! Ada soalan mengenai Gumtree Guest House? Terletak pada kedudukan yang baik di kawasan siar-siar di bandar Oudtshoorn, Gumtree Guest House menyediakan tempat yang paling sesuai untuk anda berehat seketika dari kesibukan hari anda. Keseronokan pusat bandar hanya sejauh 0.2 Km sahaja. Hotel moden ini berada di sekitar kawasan tarikan bandar yang popular seperti ArtKaroo Art Gallery, Cali Craft & Gems, Muzium Le Roux Dorpshuis. Menawarkan tetamu hotel perkhidmatan yang unggul dan pelbagai kemudahan, Gumtree Guest House komited untuk memastikan penginapan anda berada di tahap seberapa selesa yang mungkin. Wi-Fi percuma semua bilik, simpanan bagasi, Wi-Fi di tempat awam, tempat letak kereta, pengangkutan lapangan terbang merupakan beberapa kemudahan yang membezakan Gumtree Guest House daripada hotel-hotel lain di bandar. Hotel ini mempunyai 6 bilik yang sangat cantik, setiap bilik dilengkapi televisyen skrin rata, internet wayarles, internet wayarles (percuma), bilik larangan merokok, penyaman udara. Di samping itu, pihak hotel menawarkan aktiviti rekreasi untuk memastikan anda mempunyai perkara untuk dilakukan sepanjang penginapan anda. 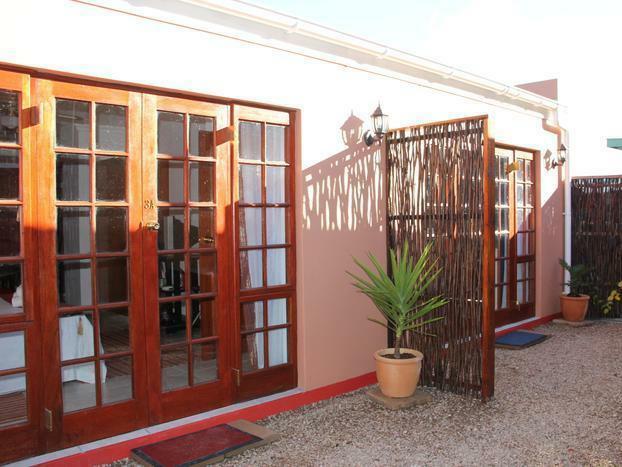 Apa juga tujuan lawatan, Gumtree Guest House merupakan pilihan yang terbaik bagi penginapan anda di Oudtshoorn. Umur minimum tetamu ialah 6 tahun. I had two great days at Gumtree with Phil and Linda as wonderful hosts who gave me very good recommendations on what to see and where to eat ..... perfect for me as a first time international visitor. Very comfortable accommodation with secure parking and a lovely breakfast in a terrific location within a couple of minutes walk of good restaurants. Very friendly, welcoming and knowledgeable hosts Linda and Phil. Great accommodation and great breakfast. Phil & Linda were excellent hosts. Our room was medium sized, basic but satisfactory for our visit. Breakfast was lovely. Short walking distance to good restaurants and 45 minutes drive to the Cango Caves (which were hugely impressive). Accommodation is a terraced ‘cabin’, consisting of bedroom and bathroom. Not overly homely. Excellent place to stay. Phil and Linda are very welcoming and extremely helpful. Breakfast very good. We enjoyed our brief stay at the Gumtree. Phil and Linda were very helpful in making us feel most welcome. We had a braai while we were staying here and were provided with everything we needed to do so. We didn’t use the pool but it looked clean, there is a nice sun deck surrounding it. The room was large and spotless with an ample bathroom. The air con was great and we had our best nights sleep here. You can also get a beer or wine from the bar in the evening. The breakfast was superb (don’t fill up on bread like I did!) and we left very satisfied. They have a little dog called Domino which was friendly and playful. We had lunch in town at Mamash - very nice and did the cage diving with crocodiles at Cango Wildlife Ranch. I definitely recommend staying here. Phil and Linda were the perfect hosts going over and above with their help and knowlwdge. It gave a wonderful safe and happy atmosphere for all guests. Cosy and friendly. Good breakfast and nice pool area for relaxing by. We only stayed for one night and we really enjoyed our stay. We received a nice welcome drink, great recommandations for restaurants and tips from Phil where to go next. Worth mentioning is also the fantastic breakfast! Thanks! Very friendly owner always in for a nice chat and good suggestions for to dos in the area and where to go for dinner. Value for money is very good and location close to trip advisor top 5 restaurants. Def a great place to go to. I truly enjoyed staying at the gumtree! A really lovely place... 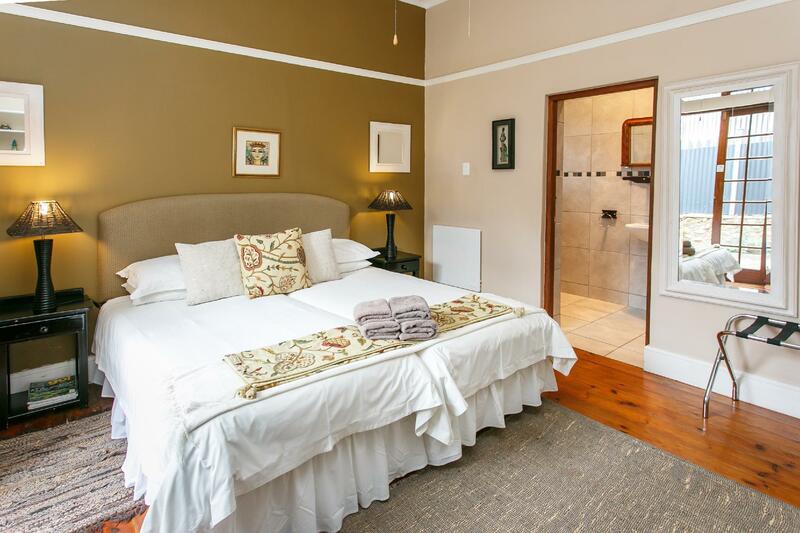 The rooms are tastefully decorated and very clean. It is in a quiet road with a nice view. I felt like home thanks to the friendliness and professionalism of the two owners. Breakfast was superb with fresh ingredients coming from the local farms and wineries. It was nice to go to the bar around 6 and chill in front of the fireplace with a nice glass of wine or craft beer chatting with Linda and Phil (the owners). They gave us a lot of advice about where to go and what to do. I will definitely go back there. The best guest house I have ever been to!! I greatly recommend it!! Food!! Friendly owners. Proximity to town centre. Stayed 3 nights in lovely room overlooking suspension bridge. River was unfortunately dry. Lovely pool area. fantastic breakfasts with all local produce. The owners really did look after us. very friendly and helpful and very 'hands on' which was lovely. Small bar near breakfast room and spent 1 evening chatting to owners for ages. Walking distance to town centre - safe. Average choice for restaurants - must go to Buffelsdrift for a meal - fantastic setting on game reserve - need car tho. Would def recommend. 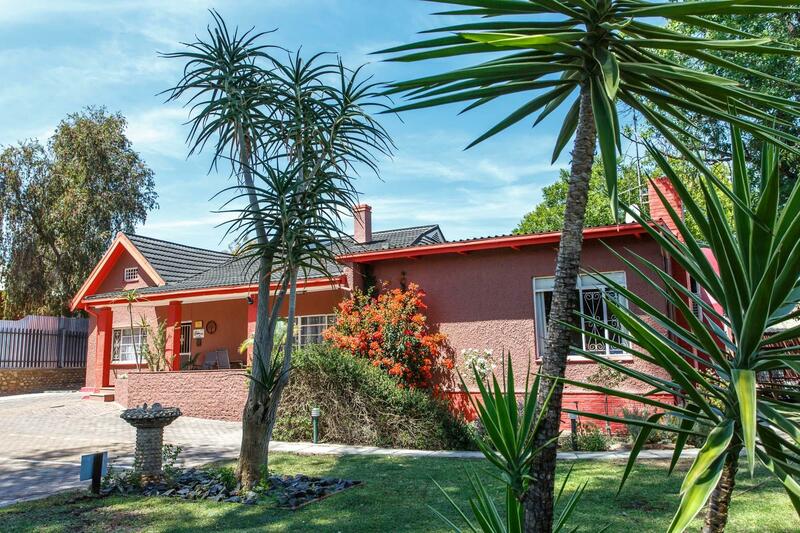 From the moment I drove through the gate at Gumtree Guesthouse, I was treated like a friend, and after a long day and having been away from home for a number of months, this was certainly appreciated. The gardens and the views from the verandah were just lovely, and the room was a really nice surprise. The wall panel heater had been put on prior to my arrival to take the chill out of the room which was greatly appreciated. The decor is a simple African theme. A mini bar was offered which sets Gumtree apart from most other guesthouses. An electric blanket was on the bed to combat the chilly African winter nights. A welcome drink was offered at the bar in the early evening and offered an opportunity to meet the other guests. Phil and his wife are the loveliest people. Anything you need/want to know they can assist you with and nothing is too much trouble. Breakfast has to be seen to be believed! Freshly baked bread, local cheeses and olives as well as the standard breakfast items. A truly great way to start the day. I cannot recommend Gumtree highly enough. You will not be disappointed...attention to detail is what they excel in! It was a small lodge with clean environment. It had a small but beautiful garden. The breakfast was good and the owners were friendly. The room given to us, though a bit small, was clean. It was within walking distances to some restaurant, though we chose a restaurant a few kilometers away (we had a rental car). The area was safe enough for walking at night (the owner of the lodge assured us of this). This was definitely the gem during our recent tour of Eastern & Western Cape. Could not fault our stay. Owners Phil and Linda went out of their way to make us feel welcome and provide information on places of interest and local restaurants. Nice location / Nice View / Safe Surrounding ..
Room was clean and comfortable with beautiful view to river. Breakfast was good when owner prepared everything by himself. The room was cozy & the hosts were friendly. Value for money guest house. the stay here was great because our host was so friendly and nice. this is a quiet hotel with a small swimming pool. lots of birds in the trees in the morning. do not park under the big gumtree! the breakfast was amazing was a good spread of local food and fruit, as well as a hot meal. wonderful experience. electric blankets available. the host is able to recommend good restaurants near by. but our advice would be to drive out for meals instead, for safety. hotel is near a gas station and quite conveniently-near to the cango caves and cango wildlife if driving.